Champions of the document claim that it could have broad implications. They expect it to legitimize civil society organizations committed to the climate and justice; affect the behavior of millions of individual Catholics; influence Catholic political leaders who are skeptical or obstructionist about climate change; and become a factor in ongoing international negotiations. Perhaps zealously, these claims imply that tectonic changes are underway in the international political landscape, especially in the United States, where Hispanic Catholics are the demographic group most concerned about climate change, and in Latin America, a region both shaped heavily by Catholic tradition and uniquely imperiled by the threat of global warming. For Latin America, which has been front and center in climate politics in recent years, the implications of the encyclical are potentially deep. Peru and Brazil have hosted recent international conferences on climate change, and the Amazon, a key global carbon sink, ensures governments’ high interest in the international environmental dialogue. The region’s vulnerability to glacial melt, storm intensification, drought, and rising sea levels also give the issue salience. The challenges posed by climate change come at a time that many lower-income countries believe that Latin America can be a source of development models that address income gaps, raise literacy rates, and expand access to health care while protecting the environment. 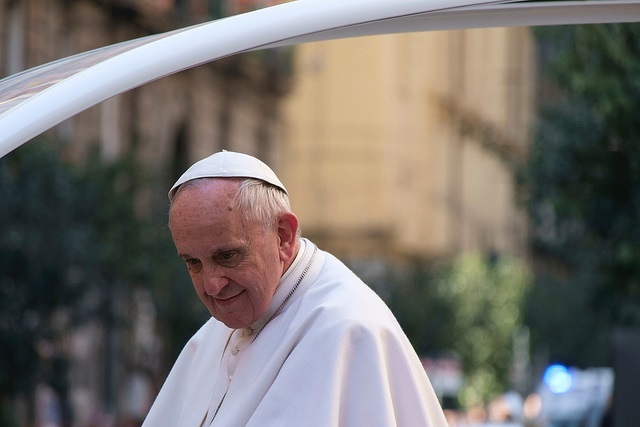 Francis’s teachings on ecology and consumerism will resonate with and reinforce existing ecological movements – Buen Vivir and other groups link the issues – and his imprimatur could even facilitate rapprochement between leftists and centrists within the Church. On a political level, the region’s reliance on energy exports, such as in the Pope’s native Argentina, may make it harder for public officials to advocate oil and gas development without seriously addressing the climatic impact. The situation is similar in Brazil, where Pope Francis’ popularity and ecological orientation are starkly contrasted with the President Rousseff’s abysmal ratings and poor oversight of Petrobras. But religion, environment, and politics are nowhere more likely to come into confluence than in Peru, where an upcoming election touches on several intensive socio-environmental conflicts, and where public awareness about climate change is well established. Whether or not the Latin American leader of the region’s historically dominant religion has all the solutions, his encyclical seems likely to play into the moral and political debates the region needs and welcomes. *Evan Berry is Associate Professor in the Department of Philosophy and Religion at American University.